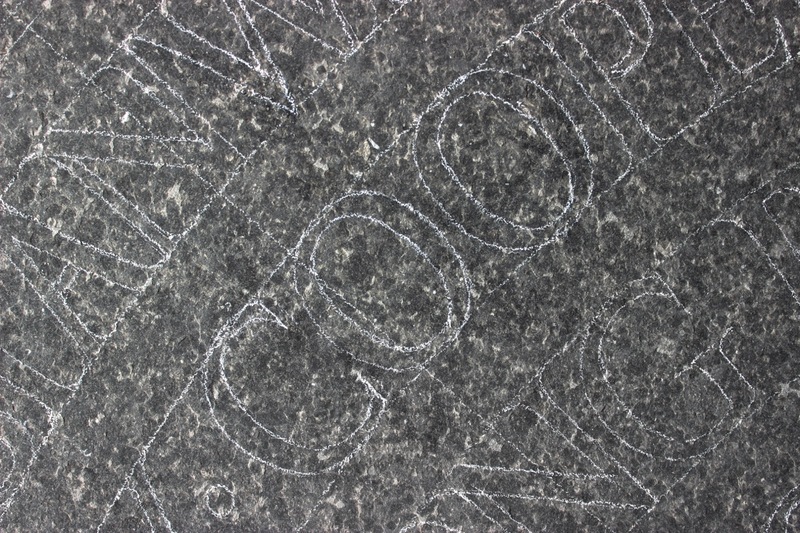 Last week was all about setting out the lettering on the stone. 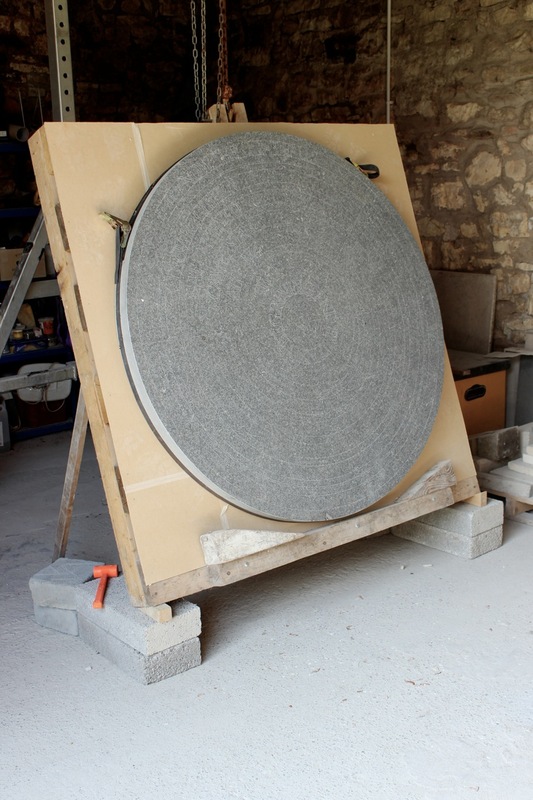 I fixed the stone onto a giant easel I made that allows me to raise it up and spin it round as I progress. Cotswold Way Marker Stone. 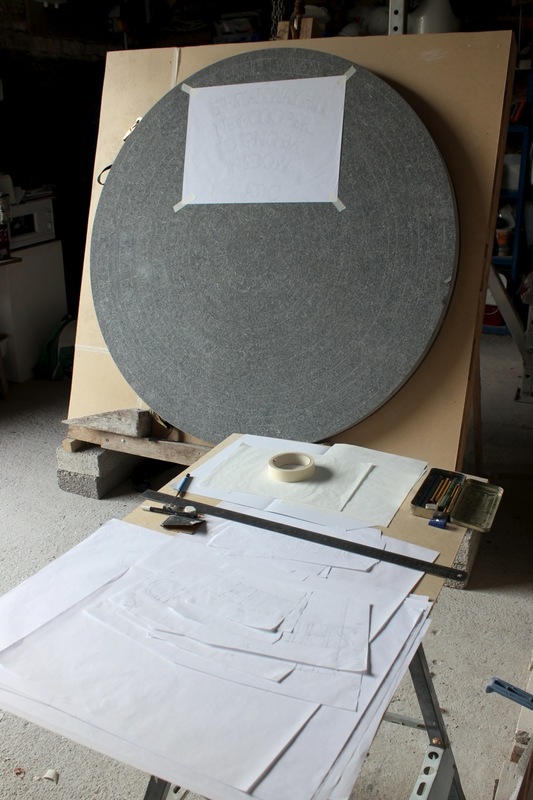 The stone fixed on the giant easel I made for carving it. 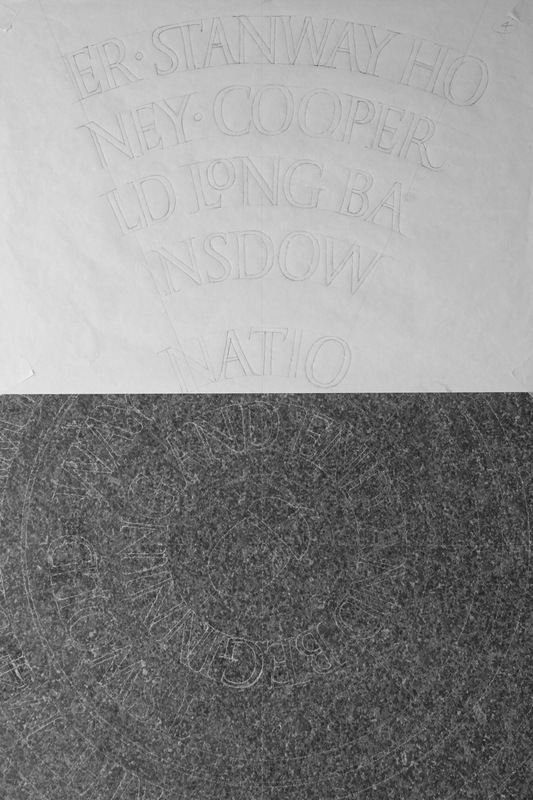 I had saved my drawing for the first Marker Stone from 2 years ago, so I was able to trace out the letters on to layout paper directly from the original drawing. 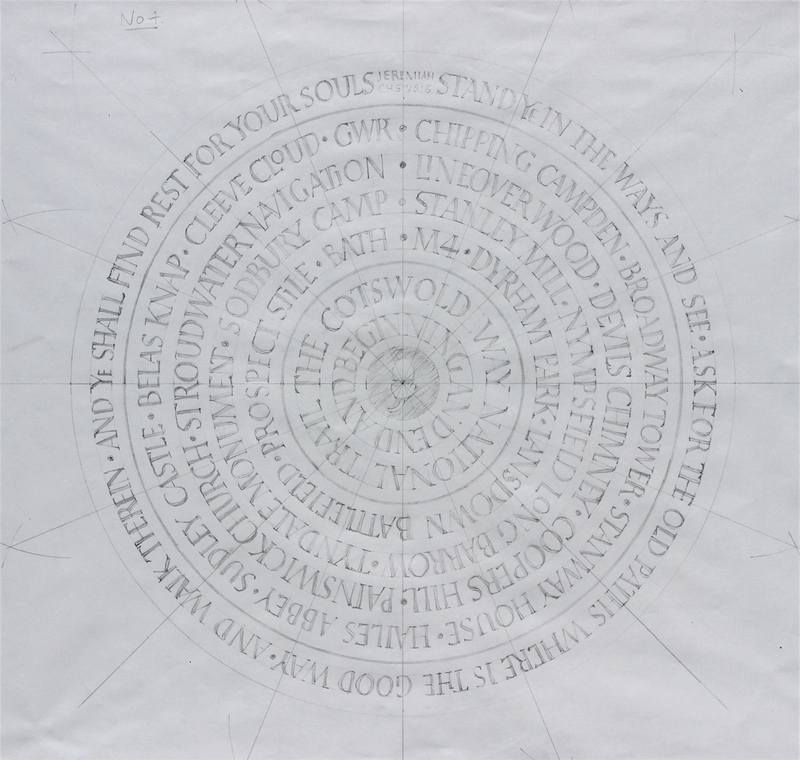 Most of the text is the same as the Bath Marker Stone but I had to set out the T S Eliot quote from scratch, it being a new framing text around the edge. Cotswold Way Marker Stone. Setting out. 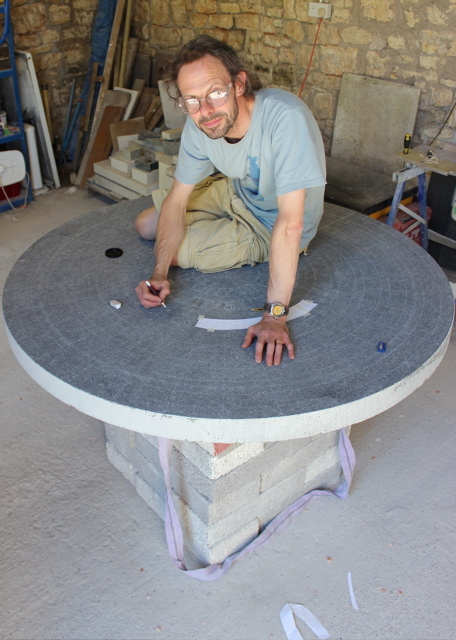 I set out radial ledger lines using a large homemade compass, and divided the stone into 8 segments, establishing a framework to transfer the lettering into. Cotswold Way Marker Stone. Setting out.Transfering the lettering onto the stone. These drawings are not finessed. They carry just enough information to transfer the forms and the spacing. 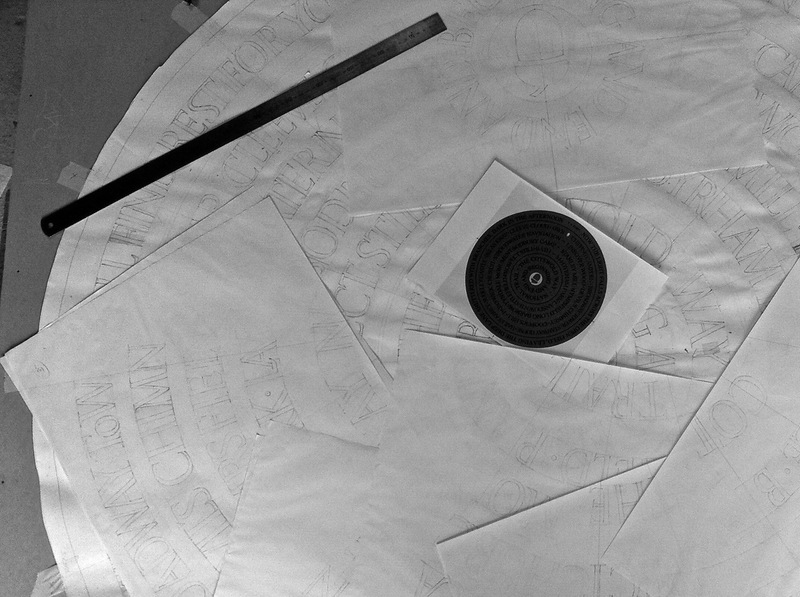 The letters are then drawn in by hand with white pencil crayon. Adjustments to spacing and form are made where necessary, serifs added and drawing more fully resolved. The chisel though is the final arbiter. 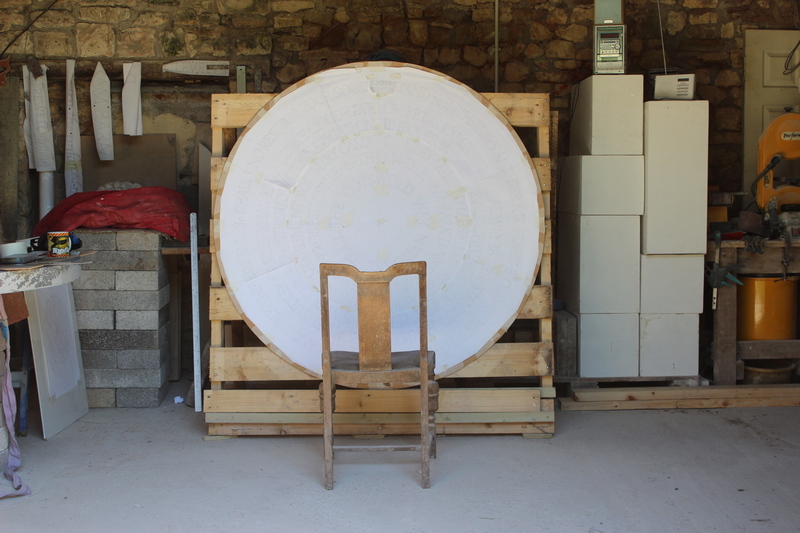 This week I will begin to carve….